Whether you’re a full-time freelancer or small business owner, chances are, invoicing is a huge part of your business operations. Also likely? Sending out invoices, managing payments and following up with late payments are one of your least favorite parts of the job. But when you’re in business for yourself, you know that time equals money, so don’t waste time manually invoicing your clients or dealing with clunky, outdated invoicing software. Read on for our picks for best invoicing software – from those that automate following up with clients (yes, really) to those best for small businesses to those best for a one-person operation – because getting paid is the key to keeping your business in the black. A major player in the invoicing game, Freshbooks’ features go beyond invoicing. Think expenses, time tracking, project collaboration, payments, and reporting. It even has a mobile app, great for freelancers on the go. FreshBooks prices itself on a simple and intuitive design and professional invoices. It also automates some of your least-loved freelance tasks, like organizing expenses, tracking time, even following up with clients. The latter is a boon to productivity. After all, who hasn’t wasted hours following up with clients with no payment in sight? You can also accept credit card payments via Freshbooks, which makes getting paid that much easier. FreshBooks also has a reporting feature that allows you to create custom reports, showcasing how your business is growing, and where it needs to improve. 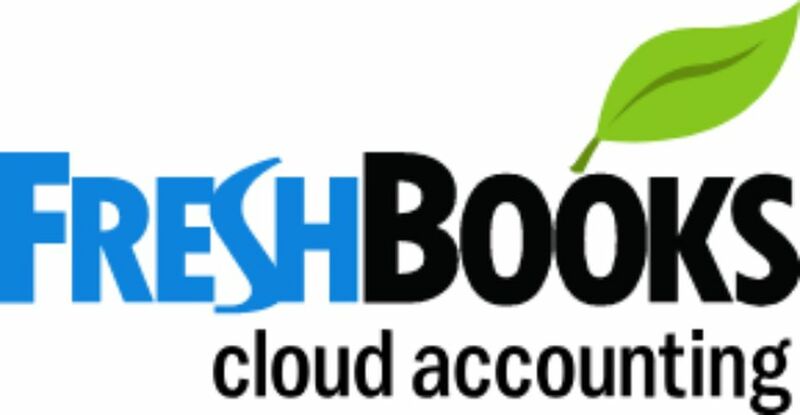 Another great feature of Freshbooks is that everything is stored in the Cloud, making it easy to access what you need from anywhere. Plus, you never have to worry about backing up your files or invoices. With more than 1 million subscribers, Xero has emerged as a major player in the invoicing game. It’s also a great online accounting software for small businesses who want to keep a close eye on cash flow. Features include a mobile app with the capability to send invoices, reconcile your accounts, even create expense forms, all from your smartphone. Speaking of reconciling, Xero also has the ability to import and categorize your latest bank statement, which makes seeing cash flow in real time that much easier. Bonus: it syncs with more than 700 business apps. But perhaps Xero’s best feature is the ability to send online invoices – and be notified when clients open them. That way, you’re never left wondering if your invoices are lost in the abyss of someone’s e-mail inbox. For small business owners who need an invoicing software that does well, more than invoicing, Wave is a solid choice. You’ll get the usual accounting and invoicing tools, along with the ability to set up recurring payments and automated billing. If you spring for one of the paid packages, you can also set up pay-per-use payments or monthly payroll. If you’re totally new to the small business owner game, Wave+ could be for you. It offers bookkeeping services and accounting coaching to make sure your finances – and your business – are on the right track. You’ll get insights into the financial health of your business, plus personalized solutions to help solve any cash flow issues. Wave also has an informative blog, featuring added-value content and videos on bookkeeping, how to get your books under control, learning about cash flow, and more. Wave offers free invoicing and accounting tools, as well as a pay-per-use payment option, plus a paid monthly option to handle payroll. If you’ve ever bought anything at a farmer’s market, then you’re probably familiar with Square, the small, square smartphone attachment (called a Square Reader) that allows vendors to process credit and debit card payments. But if you’re a small business, Square could be just the thing to take things to the next level. Not only will it enable you to accept credit and debit cards (as long as they are processed as credit) anywhere, anytime. You’ll receive your funds in one to two days, and immediate deposits are also available. Square offers two types of packages for small businesses, Square Point of Sale and Square Retail. Budding restaurateur? The company also recently rolled out Square for Restaurants. Square also allows you to send invoices and set up recurring payments, integrate with an existing third-party e-commerce site, and book appointments. It’s also compatible with other tools like Quickbooks, plus you get other perks like payment dispute assistance, chargeback protection, and PCI compliance included. With Square, you pay 2.75 percent fee per swipe, or a 3.5 percent plus $0.15 per keyed-in transaction. There are no monthly fees. Billy is best for busy entrepreneurs looking for a seamless, easy-to-use invoicing platform. Its colorful, easy-to-navigate dashboard makes it easy to access all the important aspects of running a business. Access your invoices, bills, recurring invoices, quotes, contacts, and accounting from the left-hand menu bar. See your top customers and vendors using the handy pie charts, and even get a running total of who has paid their bill – and who hasn’t – on your homepage. Billy also allows you to accept credit card payments, turn on recurring payments for regular clients, and send late-payment reminders, making it a great one-stop shop for all your financial needs. Another great feature? Creating invoices and sending bills are a snap, thanks to the simple green buttons affixed on the homepage. Never waste billable hours again trying to navigate clunky invoicing software. While Intuit QuickBooks is a powerful invoicing platform, it does so much more. The dashboard keeps your expenses, profit and losses, income, sales, and bank accounts all in one place, complete with charts and color-coding to make digesting all those numbers just a bit easier. With QuickBooks, you can easily share with your accountant, too, if you have one, or choose to take on your taxes yourself. Other features allow you to connect your bank account, sync up with other apps your business frequently uses, and access everything via QuickBooks Mobile. No more searching for that lost receipt. Simply upload it via the mobile tool. But QuickBooks’ invoicing tool is perhaps its best feature. Set custom reminders, invoice tracking, and get access to get access to personalized reports. Online invoicing also allows your client to pay you faster, which is really what every freelancer or small business owner wants, right? With Hiveage, you can send online invoices, send a potential client quotes (then easily convert them to invoices once the project is accepted), and accept online payments. You’ll even have access to detailed reports on receivables and payables. Hiveage, as the name suggests, is also great for teams. Here’s why: with one single log-in, you can grant staff members varying levels of access, even manage separate teams and businesses, perfect for those serial entrepreneurs. Another bonus of Hiveage? It helps you keep track of the day-to-day minutiae of managing a business. There are tools to track time, an expense tracker, and a mileage tracker. It’s also cloud-based, so there’s no downloading or installing software. This invoicing software bills itself as Payment Processing Made Awesome, and with just cause. For one, Due has no monthly fee and a credit card processing rate starting at 2.8vpercent. With Due, you can manage your invoices, payments, and send out customized invoices. The running total of your sent, received, saved and paid invoices is especially useful. And the dashboard is also streamlined and easy-to-use. You can even instantly send cash with its Digital Wallet feature. Another plus? It has a time tracking component for each task or project, another freelancer must-have. Due is free for businesses invoicing less than $250,000/month. For those processing more, Due has customized, paid plan options. Which Google Apps Are Perfect for Small Business Finance?